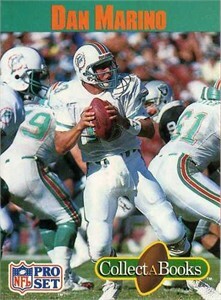 1990 Pro Set card sized Collect A Book of legendary Miami Dolphins quarterback Dan Marino. NrMt or better. ONLY ONE AVAILABLE FOR SALE.